A sample-synth from the street, URBAN X takes 3 of our fully-featured synth voices including discrete amp, multimode filter, pitch, stereo and multi-effect units and loads them with a massive set of sounds ideal for all modern music styles including hip-hop, edm, pop, composition and more. The easiest way to think of URBAN X is turntable meets synthesizer, but not just one—three of them—which means you can layer and tweak sounds to create totally new sonic expressions. Use it as a simple sample player, polyphonic synth, or go extreme, layering, morphing and distorting the sounds for wild effect. URBAN X is a flexible and totally-customizable instrument designed to bring new sounds and creativity to your workflow. 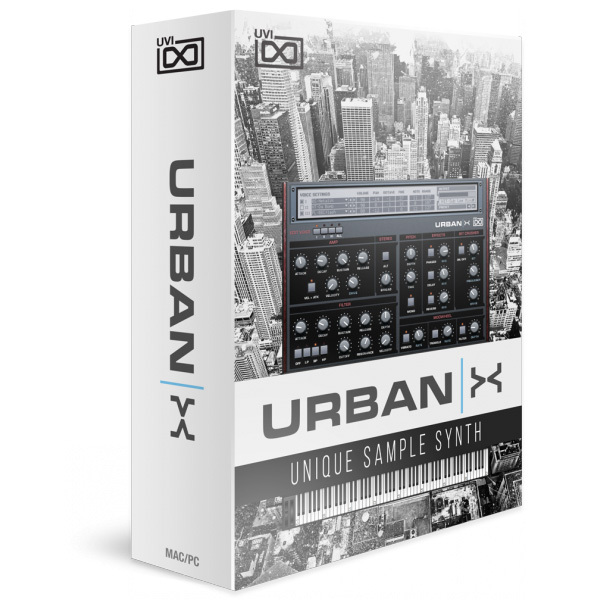 The foundation of URBAN X is an expertly crafted library of nearly 6,000 samples, created and processed using top-quality hardware and software. Sounds were designed and chosen to provide a flexible and creative palette, including vintage analog, leads, pads, strings, vox, percussives and more. Sounds are organized per layer into intuitive and complimentary groups allowing for a fast and efficient workflow. The 3-layer architecture of URBAN X provides a tremendous range of customization, including a multimode filter, amp and and filter envelopes, stereo, pitch, effects and modwheel control each, per-layer. It’s a lot of parameters, but the interface for URBAN X makes understanding and editing them a breeze. One panel displays the full set of controls for the entire instrument, simply choose a layer to edit or edit them all at once. After a few minutes with URBAN X, you’ll find it extremely fast to create and explore new sounds or make precise changes to existing presets. 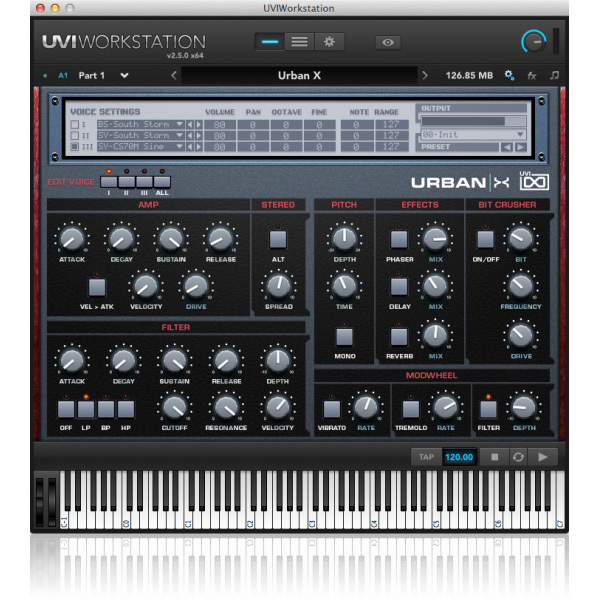 URBAN X is all about layering; find new combinations of sounds, pitch shift, add effects, tweak envelopes and design everything from percussive hits, leads, pads, to complex evolving ambient sounds perfect for many types of music production. The outstanding character of UVI sounds and the superb quality of our synthesis engines combine to make a unique and powerful sample synth, offering a versatile range of sonic possibilities at an accessible price.